Total area: 2500m². Pool area: indoor pool in a glass cube; natural swimming pond; outdoor fun pool with jacuzzi beds, massage nozzles, jacuzzi and sun deck. Spa & beauty area: steam bath, aromatherapy bath, Finnish sauna, outdoor earth sauna with ice fountain, hammam with steam bath and soap & brush massage, shower area, separate ladies only area, relaxation rooms, various treatment rooms and spa suites, exercise and gym rooms. 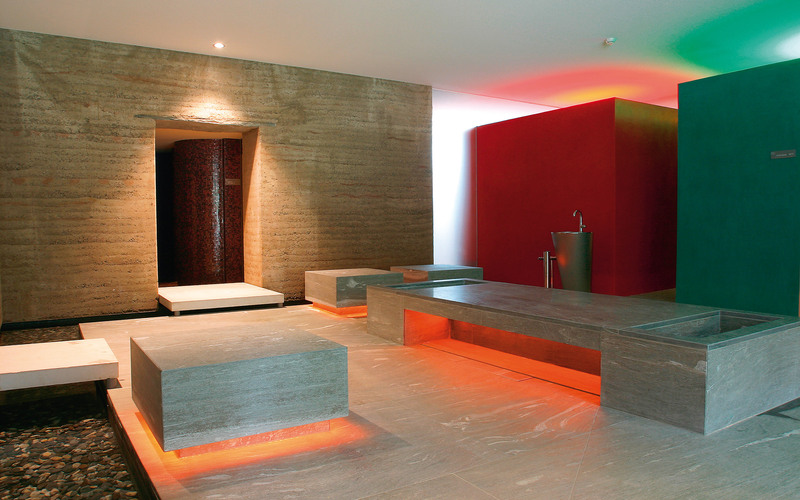 A cube, bathed in light, greets visitors and invites them to enjoy the spa experience with all their senses. Filigree and transparent, the spa is full of details, and has an enchanting, mystical aura. During the day, the glass cube, surrounded by water, hovers over the natural pool; at night, it glows like a phosphorescent lantern. 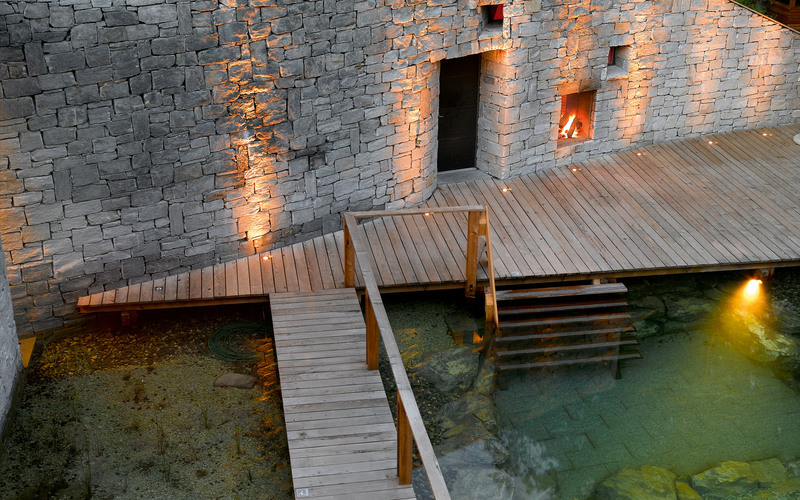 A waterway draws guests back to the delights of the inside pool area. Here you’ll find a Finnish sauna, a separate sauna area for women, aromatherapy baths and steam baths, and relaxation rooms. 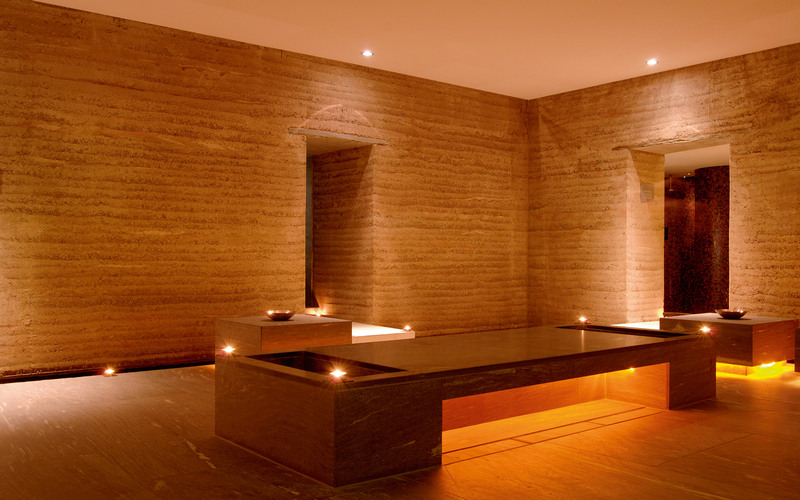 A steaming hot hammam and an earth sauna also await you. Surrounded by earth, you can enjoy the warmth and the heady smell of an open fire – a fascinating primordial experience. 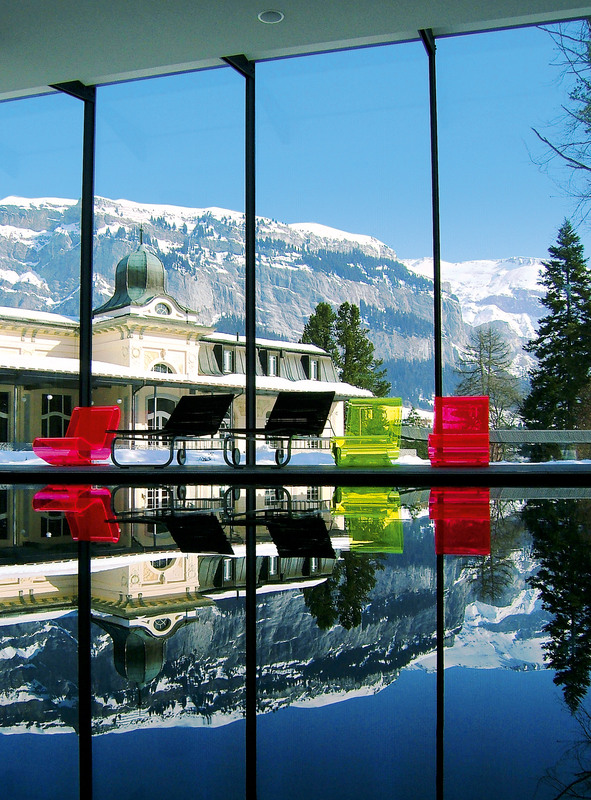 Or feel the delightful tingling on your skin as you dive into the natural swimming pond – through an ice hole in winter!